So show up on Saturday and learn more about all of that firsthand from the sailors who made it happen! The regatta is always free for FOUST members, but please consider bringing your checkbook (physical or metaphorical – there’s no shortage of payment options) to help the team buy some new boats. 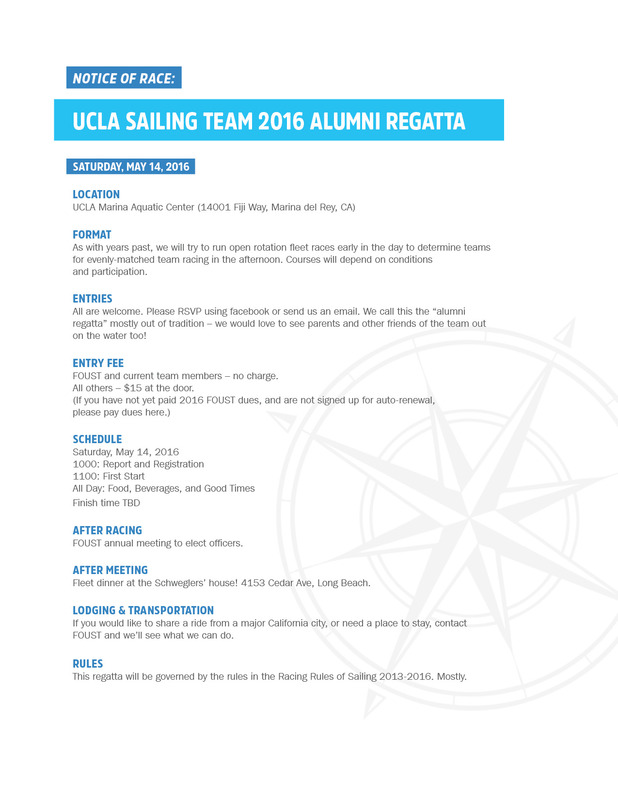 This entry was posted in NORs, Updates and tagged Alumni Regatta, Fundraising, Marina del Rey, Nationals, New Boat, PCCs. Bookmark the permalink.